Multi-talented and flamboyant, Cee-Lo initially made a name for himself and his trademark crooning as part of pioneering Dirty South rappers Goodie Mob before he broke away in the early 2000s for a colorful solo route. Along with fellow Atlanta rappers OutKast, Goodie Mob laid out the blueprint for the Dirty South style during the mid-’90s, making serious waves with their debut album, Soul Food (1995). Cee-Lo was an important member of the group, often singing the hooks to many of Goodie Mob’s best songs (e.g., “Cell Therapy,” “Soul Food,” “Black Ice”). But the group didn’t last too long, and after a few releases over a five-year span, Cee-Lo split with Goodie Mob for a promising solo deal with Arista. The deal came in the wake of Arista’s success with OutKast’s Stankonia (especially the single “Ms. Jackson”), not to mention the burgeoning neo-soul movement characterized by the likes of Alicia Keys, Jill Scott, and Macy Gray. Arista label head L.A. Reid no doubt sensed a lot of potential in Cee-Lo and gave him the green light to record a solo album. That album, Cee-Lo Green and His Perfect Imperfections (2002), sounded unlike anything else out there — unlike Cee-Lo’s past work with Goodie Mob, unlike his neo-soul contemporaries, and unlike pretty much anything else except the weirder corners of OutKast’s Stankonia album. 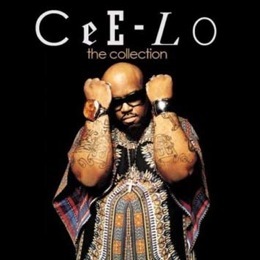 The album unsurprisingly never took off commercially, despite some colorful promotion on Cee-Lo’s part (a wild video for “Closet Freak” and a belly-baring live tour), and the tattooed big man went back the drawing board, returning in early 2004 with Cee-Lo Green Is the Soul Machine. This follow-up was just as free-spirited as Cee-Lo’s debut but was a more focused effort, anchored by some radio-friendly singles produced by big-money hitmakers Timbaland (“I’ll Be Around”), Jazze Pha (“The One”), and the Neptunes. It also featured some nice production by Cee-Lo himself. Interestingly, Arista released the album shortly after parting ways with Reid and also after experiencing enormous, Grammy-winning success with OutKast’s Speakerboxxx/The Love Below, an album (Andre 3000′s half, at least) that sounded quite a bit like Cee-Lo’s work. In 2006, Cee-Lo enjoyed his greated success to date as half of Gnarls Barkley, a duo also featuring producer Danger Mouse. “Crazy,” the lead single from St. Elsewhere, the duo’s debut album, was an instant hit in the U.K. and steadily rose to the top of the charts in the U.S. by the end of the summer. The critical acclaim and commercial success of Gnarls Barkley awarded Cee-Lo the most attention he’d ever enjoyed in his career to date.